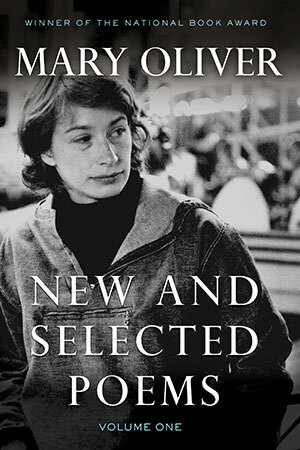 Mary Oliver's perceptive, brilliantly crafted poems about the natural landscape and the fundamental questions of life and death have won high praise from critics and readers alike. "Do you love this world?" she interrupts a poem about peonies to ask the reader. "Do you cherish your humble and silky life?" She makes us see the extraordinary in our everyday lives, how something as common as light can be "an invitation/to happiness,/and that happiness,/when it's done right,/is a kind of holiness,/palpable and redemptive." She illuminates how a near miss with an alligator can be the catalyst for seeing the world "as if for the second time/the way it really is." Oliver's passionate demonstrations of delight are powerful reminders of the bond between every individual, all living things, and the natural world. Contains the beloved poems "The Journey" and "Wild Geese." Click here to watch a video of Mary Oliver reading her poem "The Summer Day". Click here to watch a Nightline piece on Maria Shriver's separation from Arnold Schwarzenegger, which features Maria and Mary Oliver reading "The Journey". Click here to watch Mary Oliver read her poem, "The Summer Day"